It has been quite a long time since our last devlog, and progress in the nightly channel has been cosiderably slow lately. We're really sorry for these unexpected delays, and hopefully when something similar happened in the future we'll be able to recover more quickly. What happened is after receiving Windows' April 2018 update, our main machine starts to behave rather strangely. When running on battery power (it's a laptop), somehow it randomly shuts off without any warning whatsoever. Illustrator CC (which is our preferred tool for drawing Mannequin's components) became very slow when saving files, either in AI or SVG format. We reinstalled Illustrator, but nothing changed. As the machine is being used for various tasks, including our day job, finding a time to reinstall Windows has been difficult. After the reinstallation it worked all fine, though. The random shut-off is gone, even though our initial suspicion for it to happen is because of hardware problems. Configuring the system and reinstalling all of our tools still takes a lot of time, but at least now the machine performs quickly and reliably again. That's a lesson, then: Next time Windows rolls out a feature update, maybe it's better to do a clean reinstall. Anyway, enough talking about past problems; let's see what we've managed to do while wrestling with those conditions! 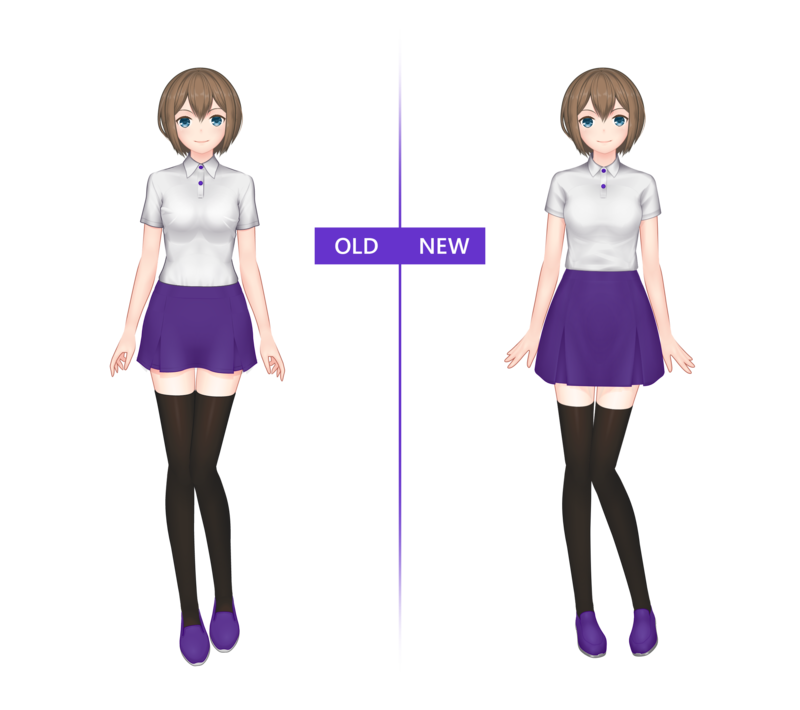 After finishing the initial design for the default male template, we looked back at the default female template and came with the conclusion that some refinements is needed to make it on par with the male counterpart. Below you can see what is coming: Generally better perspective, shadows, proportion and clothing details. This will be a quite long process, but one that we're sure will be beautifully paid off. Our PSD export experiment is still a thing, but looking back at our schedule for the upcoming weeks, it will be a really slow (and hard) journey. 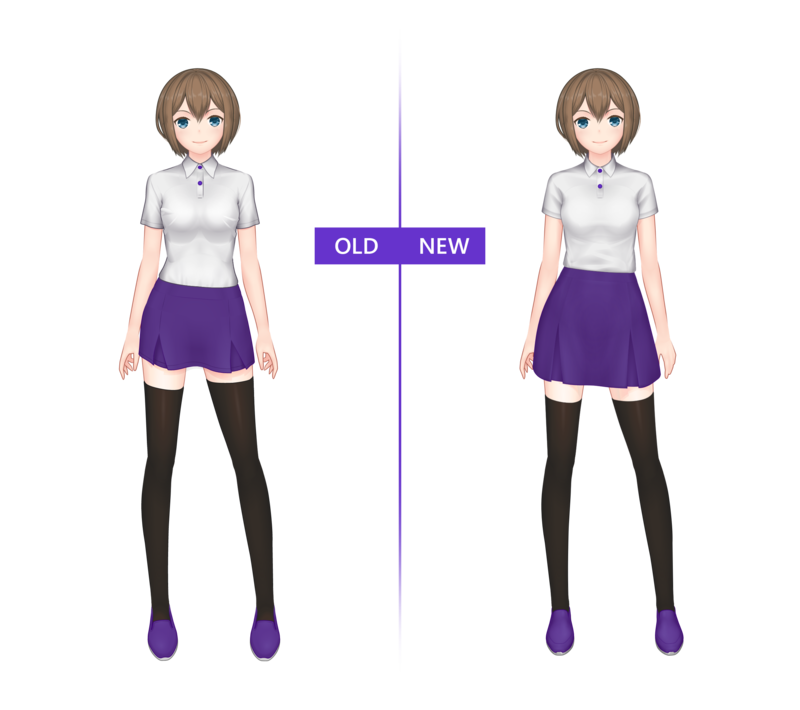 Still, we think it's quite important for everybody (including ourself, because we'll also use Mannequin for our own game development projects) so we'll try to break trough it somehow. Still collecting ourselves after the clean reinstall, so expect nothing special until our next devlog. Hopefully we can go full throttle once it's all settled, though! Anyway, as usual, thank you very much for all of your continued support and interest! It has been a great motivation for us, especially during troubled times like what happened above. See you soon!